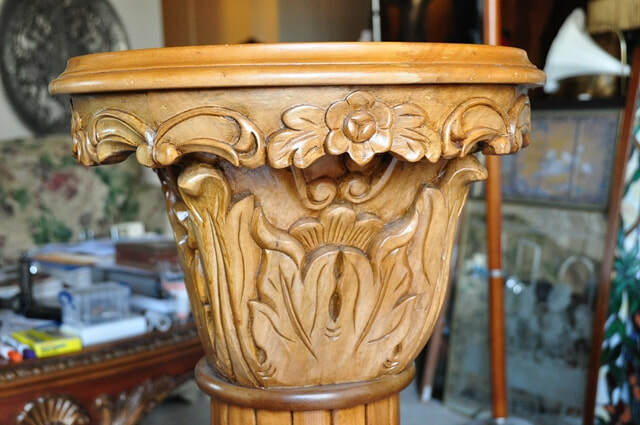 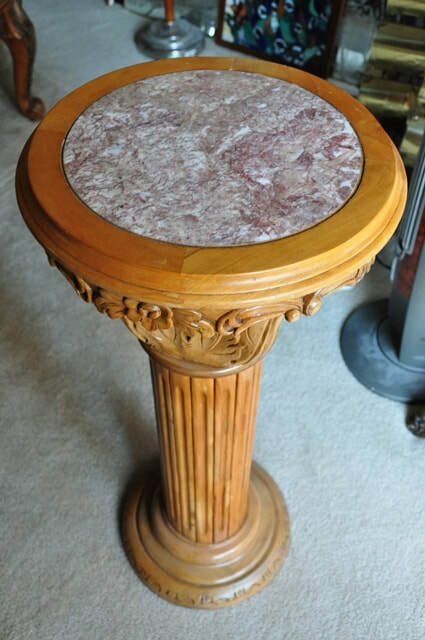 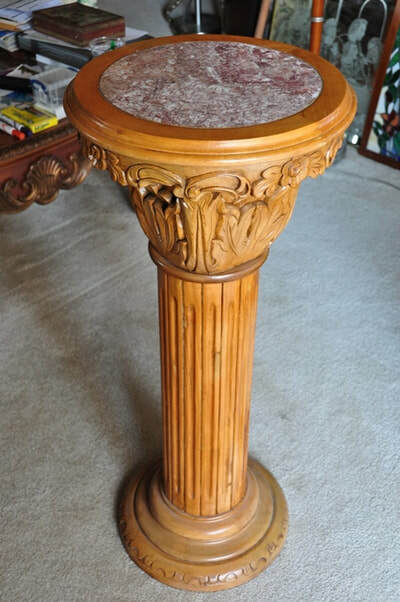 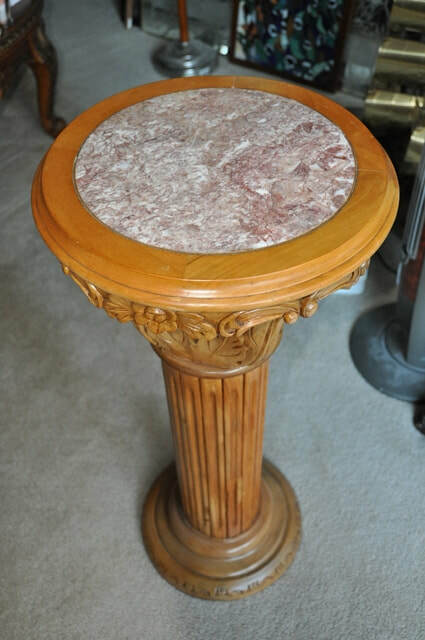 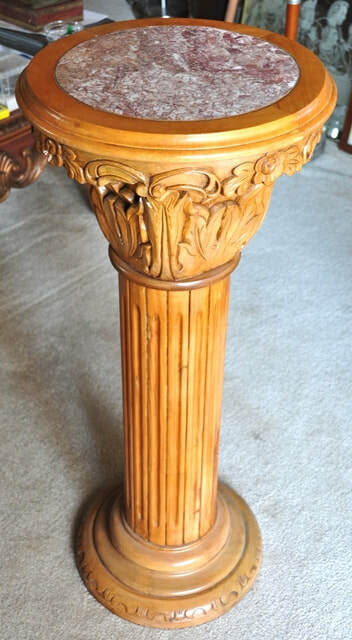 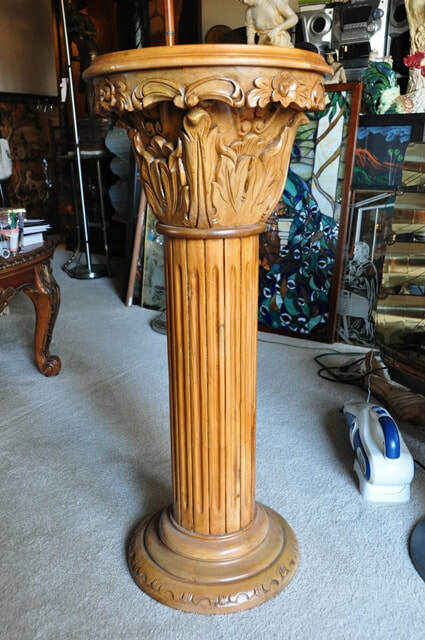 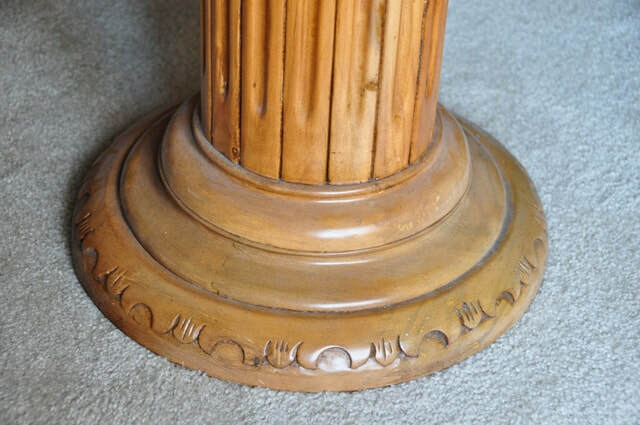 This is a beautiful wooden pedestal with Corinthian top which can be used for displaying statues, busts or other pieces of art. 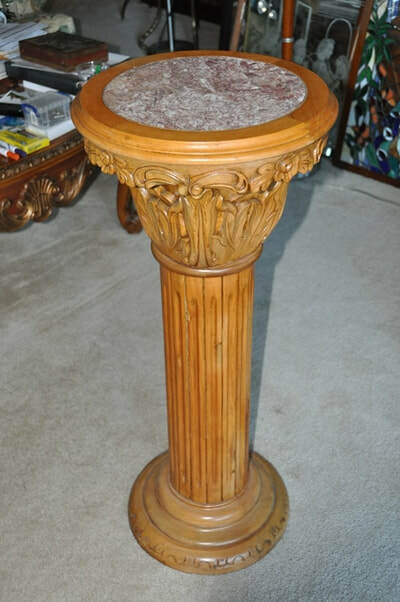 It has a granite insert at the top and is about 36" tall. 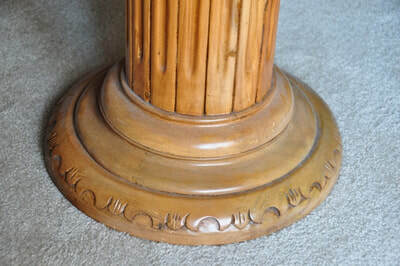 The top is 16" wide and the bottom is 14" wide.